Hi, I recently upgraded my pc and I have some probleme with the new one. After this, I updated the VGA driver (from AMD's page) and I did not have a problem for 3 days. Sorry, I updated the first post. Are you overclocking any hardware? Uninstall virtual box. It's contributing to the crashes. I need virtual machines, can you recommend me something instead of virtualbox? It is VirtualBox network driver that crashed. And see here, how may network errors are there, and with what frequency. So there must be something that is messing the network connection and activity overall. And that is Appex Network Accelerator ... have a look. Uninstall the program. Then go to C:\Windows\system32\drivers; and C:\Windows\SysWoW64\Drivers, if appexDrv.sys is present there in those folders, delete it manually. Update Realtek PCIe GBE Family Controller Driver. The display driver is not the latest version. Update your ATI/AMD display driver. 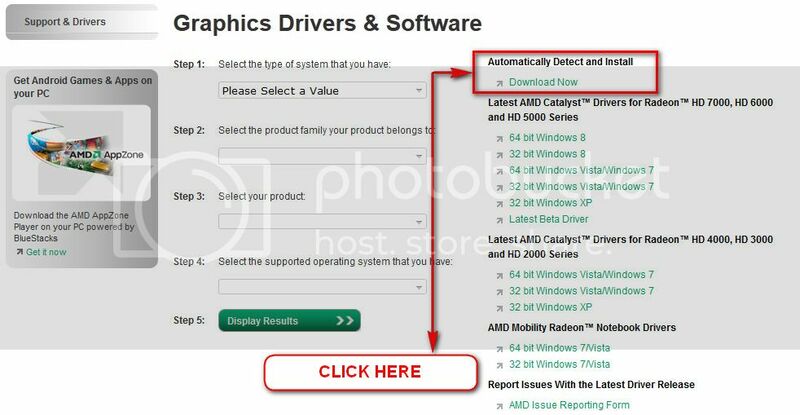 You can get it from the link in our forum, Latest AMD Catalyst Video Driver for Windows 7, or you may go to AMD Graphics Driver and Software and opt for Automatically Detect and Install the appropriate driver for your card. During installation, you may opt for advanced installation, and install the display driver only, not the Catalyst Control Center. Thank you! I uninstalled that appex accelerator and updated the network driver. I hope it will be okay. Now it is a waiting game. Wait, observe how the system is working. Let us know the results. :) But dont forget to update the display driver. Im back with a brand new dump. This time i got 0x0000000a. It is still crashing on the network driver. Whereas the driver is very latest. The cause may be hidden elsewhere. Are you use any other AV program other than Microsoft Security Essentials? Do you update the database of MSE regularly? You have a lot of network related programs listed in Startup. Free up the startup. And, for a safety reason, scan the system for possible virus infection. BSOD generally at startup, errors: 0x0000000a and 0x0000003b.